We may be biased (OK, we are!) but we believe that Greece offers the perfect sailing recipe. Beautiful seas, fantastic beaches, culture and history all in easy reach of the Athens charter bases. What more could you ask for? There is something for every taste from remote and rarely visited beaches to islands full of night-life and entertainment. Many islands have archaeological sites that give fascinating insights to Europe’s oldest civilizations for those with an historical interest. For most of it is the lure of sand, sea and (almost) year round sunshine which is the biggest attraction, but sailing holidays in Greece can be whatever you want them to be! Contact us for assistance in organising your sailing holiday. We are sure you will never forget your sailing adventure through the Greek islands, and we hope that many of you might come back for more! Not sure where to go? For some suggested sailing routes from our Athens base for both one and two week sailing charters have a look at our Greek island sailing routes for a little inspiration, we look forward to welcoming you to Greece soon! Exploring the 13,676 km of coastline in Greece with a sailing yacht is one of life’s finer things (if we do say so ourselves). in Greece one can definitely find the beaches of his or her dreams! Long white sandy beaches with turquoise crystal waters, small beaches surrounded by huge cliffs or pine and palm forests, beaches with waters as if bleached water was mixed with the blue colour of the Mediterranean. 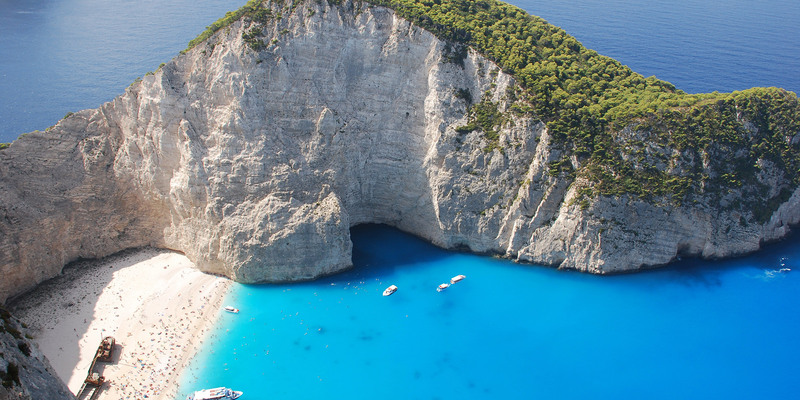 The Greek islands in all their variety really do offer the ultimate in yacht charter destinations! We have put together some suggested sailing routes for your holidays, all of which offer a variety of Greek island experiences and cover the Cyclades and the Saronic Gulf islands which are most easily and quickly reached from our main base in Athens. Each route gives a quick description of each island’s highlights along with ports of call, distances and further information. We have put together some suggested sailing routes for your holidays along with ports of call, distances and further information. Taking in the easy to reach islands of Aegina, Poros, Hydra and Spetses along with the ancient theatre at Epidavros, a week long sailing charter in the Saronic Gulf is ideal for beginner and experienced sailors alike! A two week charter lets you get out into the Argolic Gulf and visit the historical cities of Nafplio and Monemvasia. Much less busy than the Saronic Gulf, the Eastern Peleponnesian coast is one of our favourite areas to relax. The Cyclades are the classic Greek islands. Lots of bright sun, clean seas and beautiful beaches. And with so many islands bunched closely together, you can pick and choose to your heart’s content! This quick route takes you through the islands of Kea, Syros, Paros, Serifos and Kythnos with a stop at the famous temple at Sounio on the way back. More time to cruise the Cyclades? Take in all the above islands and then include Mykonos, Naxos, Schinoussa, Ios, Folegandros, Milos and Sifnos. Phew! Great Sailing! A modification on the Cyclades I route, take in the beautiful island of Amorgos made famous in the movie ‘Big Blue’. The Cycladic islands are ideal to mix and match to make your sailing holiday unique!